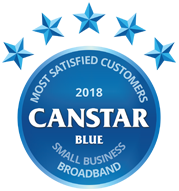 Canstar Blue’s annual review of broadband providers for business compares iiNet, Optus, TPG and Telstra on customer service, value for money, network performance, contract clarity, bill clarity & overall satisfaction. For the fifth year in a row, iiNet has been rated highest by business internet customers. It leads the way in overall satisfaction, value for money, contract clarity and bill clarity. In this century, businesses need an internet connection to survive. Whether it’s organising rosters, doing the pay run, emailing staff, operating point-of-sale systems, or whatever else, businesses in Australia can thrive with a solid broadband connection. As they say, a business is only as good as its communications, and having reliable and fast internet is a sure-fire way to keep communications flowing. If you and your business are unsatisfied with your internet provider, our 2018 review and ratings may be able to help. Optus was the only other provider to achieve five stars in any category, getting top results for customer service, value for money, network performance and bill clarity. Optus also scored four stars for overall satisfaction, along with TPG which recorded a mix of three and four stars across the board. Telstra received three stars across most research categories, with just two stars on value for money. 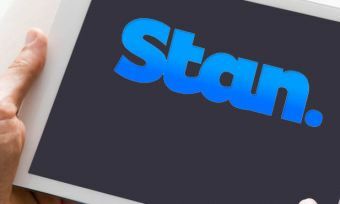 IiNet has traditionally been a strong performer in Canstar Blue’s customer ratings for internet providers, whether it’s ADSL/Cable or National Broadband Network. Our business internet ratings include all kinds of broadband connections in Australia. If you need a little extra help picking the best internet provider for your business, read on for details on what the four telcos in this year’s review have to offer. There is a diverse range of internet plans on offer for businesses big and small. Here is an overview of what the biggest internet providers in Australia have to offer your business. iiNet has a range of business-specific broadband plans. 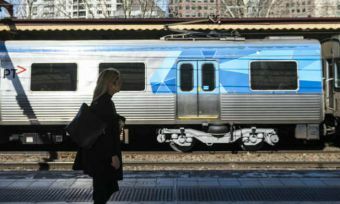 Like its plans for regular customers, prices start at just $60-odd a month, which encompasses ADSL and basic NBN plans. Customers can also add on unlimited Tier 3 NBN data plus one business phone with unlimited calls to landlines & mobiles from just under $100 a month. iiNet seemingly benefits from having dedicated business support on hand when it’s needed, plus speed boosters for uploading. Plans are available with no lock-in contract, or over 24 months. There are also international call add-ons available if your business deals beyond Australia. iiNet was a firm favourite among business owners in 2018, rated five stars for overall satisfaction and for value for money, contract clarity and bill clarity. Most of Optus’ business broadband plans are pretty much the same as its regular plans, with unlimited data starting from just $75 a month across NBN, ADSL and cable connections (and $65 for mobile customers). 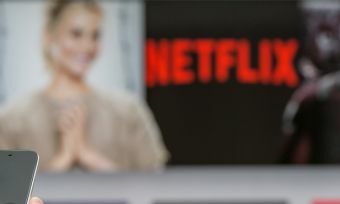 A Fetch entertainment bundle and Optus Sport are even included in some internet plans, making it a convenient way to occupy time in the break room. Optus was a solid performer across all categories in 2018, earning four stars for overall satisfaction and notably achieving top marks in customer service, value for money, network performance and bill clarity. TPG has a large array of business internet solutions, including NBN plans, standalone ADSL plans and Ethernet plans at either 10Mbps or 20Mbps in download speeds. Unlimited data on the NBN starts at around $70 a month and for that you also get no lock-in contract. Unlimited fibre optic broadband with massive 400Mbps speeds costs about $400 a month. Regular business ADSL is also much the same as TPG’s consumer plans. TPG was rated four stars overall in our 2018 review, and for value for money, contract clarity and bill clarity. Telstra claims to be the ‘network without equal’ and uses this as one of its main selling points for Aussie business customers. Telstra provides a total telco solution, with NBN, ADSL, mobile and business phone plans on offer, as well as cloud services and eCommerce facilities. Plans are pretty on-par with Telstra’s regular broadband line-up, with 500GB costing about $80 a month on NBN Tier 3 speeds. Unlimited data starts at $125 a month. You also get unlimited uploads, as well as 24/7 customer support, which shouldn’t be overlooked. Telstra was rated three stars for overall satisfaction and in most other research categories this year. 56% reported encountering connection problems when switching over to the NBN. Nearly two thirds (63%) are concerned about the impact the NBN could have on their business. Despite the concerns, however, once up and running, 56% noticed an improvement in internet speeds once they switched over to the NBN. No business should have to put up with a subpar internet plan. Often, the internet is the lifeblood of a business, and having a lacklustre plan can be both frustrating and financially impairing. Unfortunately, only one provider in this year’s review was rated five stars in terms of network performance. Business internet customers valued customer service over both value for money and network performance. Nevertheless, for a good all-round package, iiNet was a clear winner for overall customer satisfaction – for the fifth year in a row. Once could be luck, but five years on the spin is clearly a trend. Setting up a business is hard enough in the first place; don’t let internet cause you any unnecessary headaches. It pays to shop around, and maybe our 2018 ratings will help. Canstar Blue commissioned Colmar Brunton to survey 818 Australian small to medium-sized business owners or key decision-makers (i.e. the key decision-maker for the business) across a range of categories to measure and track customer satisfaction. The outcomes reported are the results from customers within the survey group who currently have a business broadband plan and the business pays the bills – in this case, 493 people.